The medical team at Nu Image Aesthetics & Wellness Institute, an aesthetic med spa in Elgin, Illinois provides patients micro-needling. Medical micro-needling (Collagen Induction Therapy) is designed to treat various skin conditions such as fine lines/wrinkles, light scarring from acne and photodamage, and to improve skin texture. Clinical studies have shown micro-needling to be comparable to fractional laser treatment. 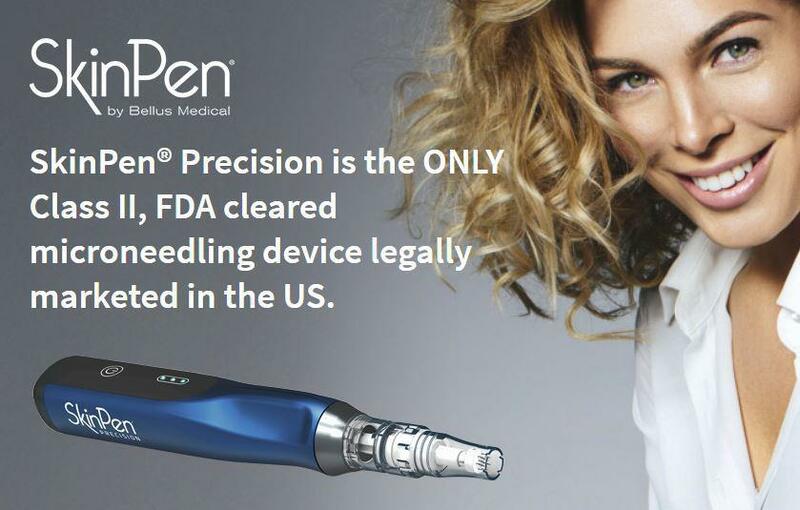 SkinPen is an electronic device that uses multiple fine needles to vertically pierce the skin. This type of micro-injury causes collagen remodeling and enhances skin rejuvenation. Unlike at-home needle rollers, SkinPen uses a precisely controlled stamping method minimizing excess damage to the epidermis. Micro-needling works by creating controlled injuries underneath the skin's surface, thereby inducing the body to respond through the formation of new tissue layers of elastin and collagen as well as new capillaries for an improved blood supply in the treated area. The skin plumps and thickens in response to this stimulus, ultimately reducing the appearance of scars, fine lines and other skin texture changes. In addition, the channels made from the micro-needles allow topical gels and creams to be absorbed more effectively (200% increase) through the top layer of skin. For even better results ask us about PRP Micro-needling! Our clinical team will meet with you to discuss treatment options. A treatment takes approximately 30-60 minutes depending on the type of treatment. Treatment begins with a topical anesthetic applied to your skin for comfort. After the skin is numb, the SkinPen gently moves over your skin to puncture the skin layers creating micro-injuries and stimulating collagen production. After the procedure the skin will be red and flushed similar to the appearance of a sunburn. The skin will also feel tight, tingling, mildly sensitive to touch on the treated area and this will diminish over the next 24 hours. After 2 days most of the skin will be completely healed. We recommend a course of 3-4 micro-needling sessions 4 weeks apart to achieve optimal results, however skin improvement is noticeable after just one treatment! Call (847) 892-4007 to schedule a consultation with one of our experienced providers.